Facebook makes 5% of its IPO (Inital Public Offering) each year (over $1 billion in revenue in 2011)- and this number is pacing to grow. Unlike the Groupon, Yahoo! and AOL IPO’s, the Facebook IPO is gaining tremendous attention from its user base because of the in depth coverage the media is giving the platform, and the process of it going public. 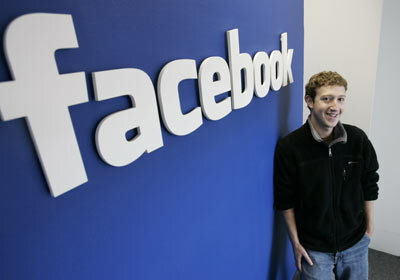 Facebook is dropping at $40 a share, and they will continue to be the most talked about company of 2012. AND why not? Facebook is revolutionary. Other than Steve Jobs, no other online figure has ever been given the attention and press that Mark Zuckerberg receives. When was the last time that the CEO of a major corporation had a movie about his career path? The Social Network was a box office smash; he even brings money to Hollywood! Nearly two years ago he curtailed the press from attacking his personality and business practices by making a $100 million dollar donation to the Newark School District. Now that Mark’s company is public, how will this effect business owners that use the site as a marketing tool? Is this going to change how businesses spend money on the website? Some businesses have walked away; General Motors cried foul against Facebook, stating that they did not see a return on investment. More and Better Ads: To ensure its stock price doesn’t fall and investors stay satisfied, Facebook has to experience significant and continuous revenue growth. To accomplish this, the platform is setting its sights on advertising dollars. That means a certain aggressive push for Facebook ads. Like itsrecent logout page ads and sponsored stories, Facebook will continue innovating in advertising with new ad formats and targeting capabilities. It’s a big win for marketers, giving far greater reach and hyper-targeting abilities. So get ready to hone in on your perfectly tailored audience. Less Organic Traction: With a greater focus on ads, it will become increasingly more challenging for brand managers to fuel organic growth. Valuable, engaging content will always be vital, but without content working hand-in-hand with Facebook advertising, your brand will be unable to keep up in the social space. The days of brands getting significant traction on Facebook organically are over. Additional Ad Money: Facebook’s IPO has been called a “watershed moment” for the industry. That’s because it truly legitimizes social media for businesses. As a result, C-level executives are going to be putting more money toward social media and marketing. There won’t just be more financial investment in Facebook, but more marketing investment, giving brands and marketers more opportunities to leverage social media the right way. Diverse Buys: After an influx of cash, Facebook will have the ability to continue its spending spree and buy more tech companies to aid its commitment to sharing. (such as its recent $1 billion purchase of Instagram) By acquiring such sites – Pinterest, or Quora, perhaps – the platform will be able to expand features and grant greater opportunities to share content from Facebook alone. What does that mean for marketers? You can look forward to potentially streamlining your social media marketing plans. That would mean buying advertising on Facebook and Instagram together, for instance. Fewer Changes: One of the greatest challenges for marketers using the Facebook platform has been the need to be agile, given Facebook’s constant updates to its products for users and brands. As a public company, Facebook may become less inclined to change its products as quickly as it has in the past. This means marketers and brands might be able to create opportunities for customers using Timeline, for instance, without worrying about Facebook’s next dramatic shift. Keep us posted on how your business is affected- Social Fulcrum needs to know the 4-1-1.